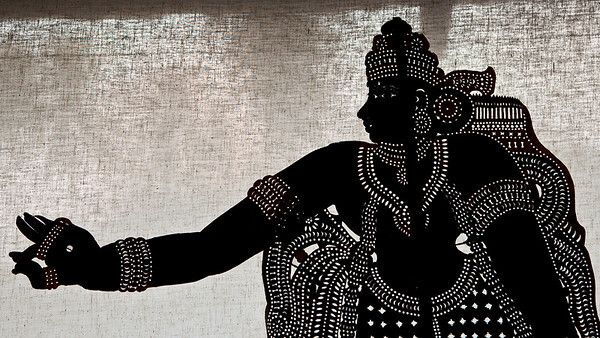 The Shadow Puppet Theater, or Tolpavakoothu, performs the classic conflict of good versus evil from the ancient Indian epic Ramayana. While the shadows of the puppets depict exile, war and conquest on the muslin screen, it is behind the scenes where the action takes place. Puppeteers rush to and fro, manipulating the figures in front of small oil lamp flames in a controlled frenzy that mimics the display of shadows outside to the beat of rhythmic drums.